What better day to launch the World’s Largest Lesson India than National Teachers day? 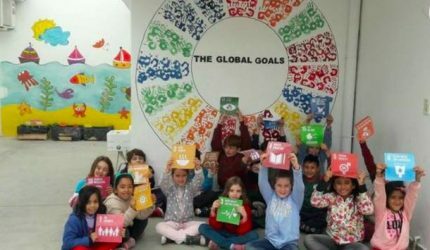 In Delhi on Monday, and for the first time, World’s Largest Lesson is delighted to launch a bespoke country initiative to produce creative materials to support learning about the Global Goals in schools across India. India has the youngest population in the world with just over 30% of it’s population under the age of 14. Some say that achieving the Global Goals is not possible unless India leads the way. 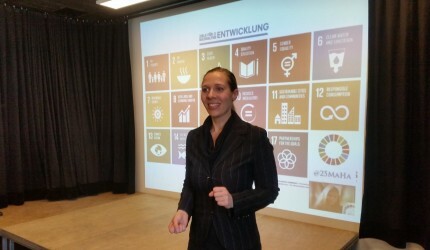 After committing to the Global Goals in 2015 India’s government are building plans towards their “Vision 2030” agenda, a plan designed to involve all aspects of govermment in working across departments to achieve the goals. Engaging India’s young in understanding the goals, the issues, and inspiring them to take action in support of the goals, will help stimulate greater determination at government level and a more active population as these children grow up. 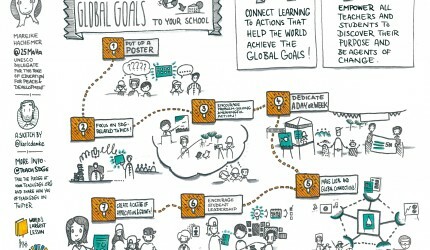 Working closely with Graphic India and with the support of GEMS Education we’ve been able to produce 4 Goals comics and 4 animated shorts that introduce children to the Global Goals and highlight four issues that are relevant to the children of India – Water and Sanitation, Gender Equality, Climate Change and access to Education. These comics features stories of Chakra the Invincible and Mighty Girl working together to inspire children to support the Goals and the issues they cover and share these messages at home with their families. They will be produced in 6 languages for India – English, Hindi, Tamil, Bengali, Telegu and Gujarati. To make some noise about the launch we invited Sonam Kapoor, star of the recent Neerja movie. Sonam read the comics with the children of GEMS Modern Academy Delhi. Many of the children were so engrossed in reading the stories that they forgot they were sitting with a Bollywood star! With the biggest challenge being distribution of the comics we were delighted to receive a video message of support from Prakash Javadekar , the minister of human resource development that includes Education and schools. This will help us proceed with the task of building a distribution network for our learning content. 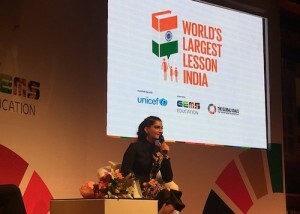 This network is building rapidly with support from UNICEF, Reliance Group, Akshaya Patra, Save the Children; and youth and education empowerment organisations such as The Global Education & Leadership Foundation (tGELF). Watch this space for more news as our India project takes off.